Is family-style dining not your thing? Is the idea of sitting at a communal table and passing the potatoes to the person on your left just not your idea of fun? How about changing your mind right now? 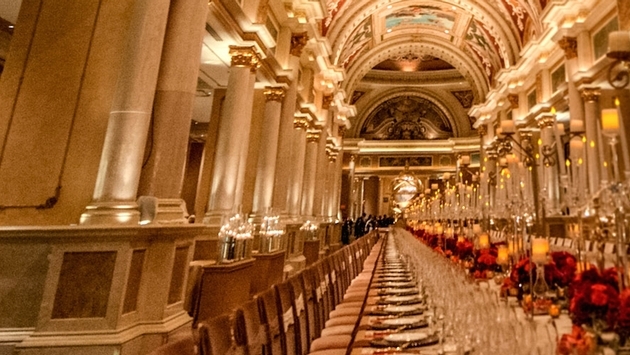 From Dec. 5-7, 2014, the Venetian is hosting Las Vegas’ culinary event of the year. “Ultimo” is three days of letting your diet go and opening up your mind (and mouth) to new culinary experiences. Chefs Emeril Lagasse, Daniel Bouloud, and Buddy “Cake Boss” Valastro will all be on hand to help make magic in the kitchen. Guests will get to have brunch with Chef Daniel at his new db Brasserie restaurant, take a private baking class with the “Cake Boss” and top it off with the Grand Banquet. So remember that family-style meal? Take a look at the photo above and tell me if you can get over the communal table for once. 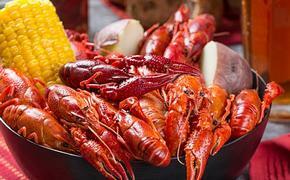 Oh, and the meal is prepared by Chefs Emeril, Daniel and Valastro. The resort is offering additional once-in-a-lifetime excursions, a dine-around in the Palazzo’s Waterfall Atrium Gardens and a truffle farewell brunch. As Vegas becomes more and more a culinary destination, this event will give you the opportunity to sample some of the best cuisine the city has to offer. Don’t miss it. Tickets can be purchased at http://www.venetian.com/ultimo . All tickets and suite packages purchased will benefit the Cleveland Clinic Lou Ruvo Center for Brain Health.